Pace Car Rental have the Ford Ranger high rider bakkie with airbags and aircon on fleet. These vehicles have a huge load carrying capacity, ride higher than a standard bakkie, and they have a diff lock. If you are looking for a suitable alternative to a 4×4 single cab Bakkie rental then high rider bakkies with diff lock could be your solution. Our bakkies and vans can be fitted with lights and chocks to make them site compliant. 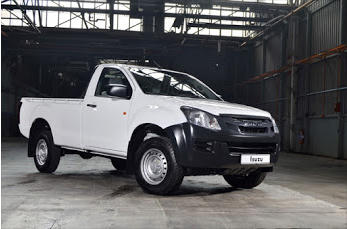 Diesel bakkies use 20% less fuel than their petrol variants so you will save by renting these bakkies. Our cheap rates on Bakkie rental are as little as R400pd including VAT, standard waivers and 100kms free per day, if you rent for a week or longer. The back of the vehicles can have a canopy which is lockable. Why is High Rider Bakkie Rental with Pace Cheaper? Pace daily rates are cheaper and they include VAT!